Birkenhead Gang Show wins audiences over once again with an incredible, amazing, spectacular 2019 show! Last week saw the return of our Birkenhead Gang Show once again for possibly the best ever Gang Show! The 2019 show saw over 90 members take to the stage - or the side of the stage at least, for an incredible show celebrating the 1929 Arrowe Park Jamboree, Moon Exploration and so much more. Graham Lysaght our show producer said "I've been very fortunate to produce the show since 1997, something I'm extremely proud of. Our wesbite will give you a flavour of our rich and exciting history together with how to keep updated on all our exciting show news." Matt Jones our District Commissioner said "I'm so proud of all our members that took part this year. The actors, producers, musicians and technicians all did an us proud. It's activities like this that allow us to Prepare Better Futures for all our members by giving them amazing Skills For Life." The Scouts are to 'Pilot' a new section for 4 and 5 year olds to enable young people to start developing #SkillsForLife earlier! The Scouts said today that a key component of their #SkillsForLife plan was to explore how The Scouts can work with younger children in society to enable them to develop key #SkillsForLife even earlier than 6! The Department for Education has now agreed to fund 20 pilot projects in England to enable us to test different models for 4 and 5 year olds and see what works best! The Scouts want to hear from interested groups who would be willing to be part of the pilot project; particualrly those in more deprived areas of England. If you would be interested you can place an expression of interest by clicking here. The Scouts have said that in the future they will send updates to all leaders as to whether the trials have been successful and if there will be a wider roll-out of the youngest section - there is no name for this section as yet and names will be trialed as part of the pilot schemes. Matt Jones, District Commissioner, added, "this is great news for all our members, by potentially allowing 4 and 5 year olds into local Scouting this will enable us to teach more key #SkillsForLife to more young people, it will allow us to grow and develop and will enable us to have a greater impact on our local communities. It will be great to hear about the impact these pilot projects have and I am incredibly excited to see if they are successful." We'd like to say Thank You to all the Trustees who help us deliver #SkillsForLife across Birkenhead. This week is Trustees Week and want to highlight the work of our amazing Trustees who make some difficult decisions to support Souting in Birkenhead. We work in 15 different communities and deliver Scouting and #SkillsForLife to over 500 Young People! Our Chairty Trustees are known as Executive Committee Members and every Scout Group has one, as does Birkenhead Scouts! Our Executive Committee are the same as Boards of Directors, School Governors etc. and they essentially support our amazing Leadership and Support teams to ensure our charitable activites are governed appropriately and making sure we provide the very best #SkillsForLife to all our young people and adult volunteers. Matt Jones, District Commissioner, said "I'd like to personally thank all the Trustees across Birkenhead who help support our Group Managers and Leaders making sure we provide exceptional #SkillsForLife to 500+ Young People right here in Birkenehad". 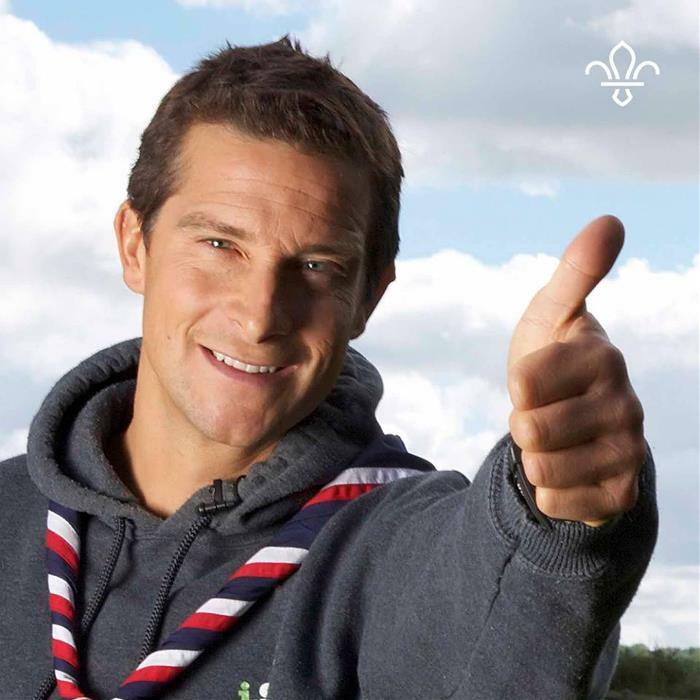 Chief Scout, Bear Grylls, becomes Chief Ambassador for World Scouting. Bear Grylls is taking on an additional role to his current role of Cheif Scout for The Scouts in the UK and is now also Chief Ambassador for World Scouting. In his new role he will be trying to take #SkillsForLife and Scouting to Young People and Adults across the World! Read more about his new role and what Bear has to say here.